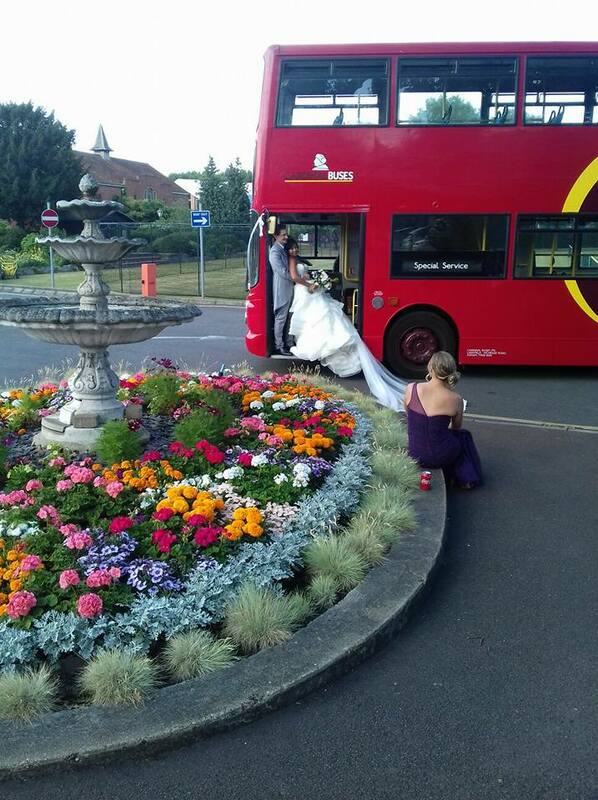 Surrey Wedding Bus Hire in Surrey, West and South West London. 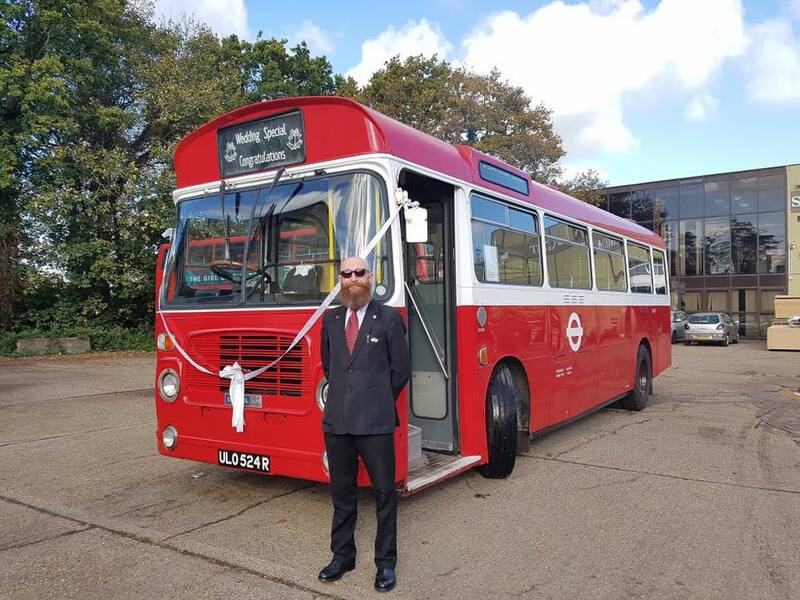 Cardinal Buses have a number of preserved classic buses available for private wedding hire in the Surrey, West and South West London. Our Cardinal Bus drivers are fully vetted, CPC qualified and experienced. 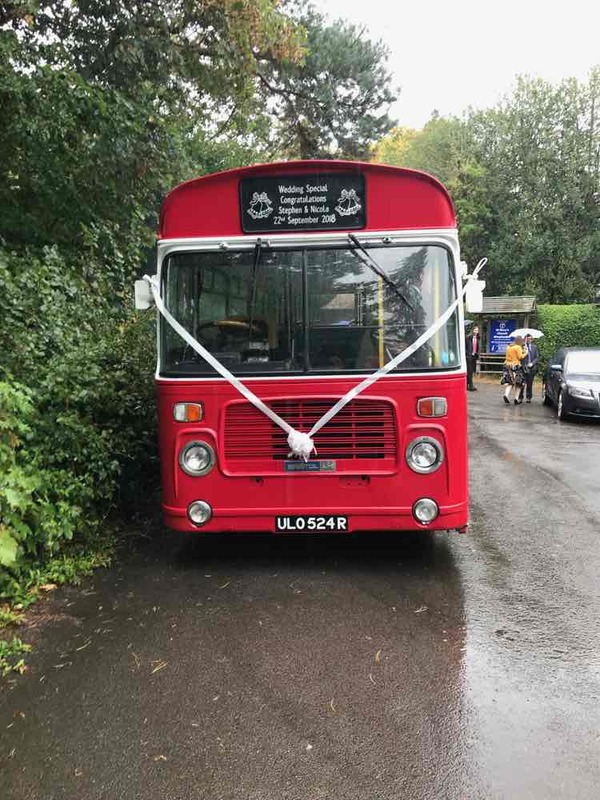 Make your wedding day a memorable one for you and your partner and your wedding party guests by providing a classic preserved bus for your guests to travel from the hotel, to the church and then to the reception venue. Let your guests enjoy a worry free day with you by not worrying about driving, traffic or parking. Pick up can be from a single location or multiple locations. 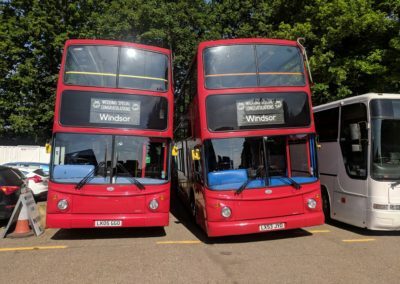 Cardinal Buses have double deckers and single deckers. 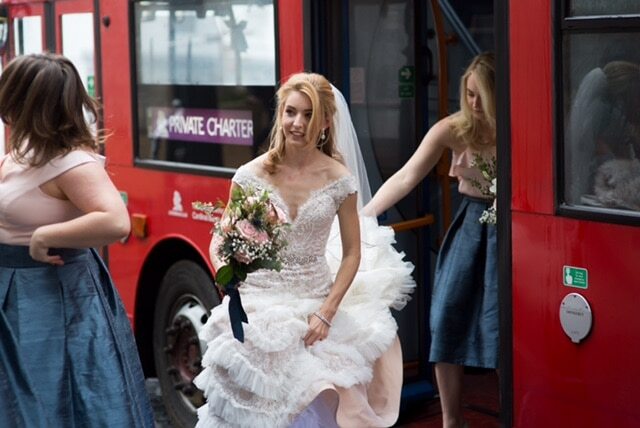 Imagine feeling like celebrities as people stop in their tracks to see your wedding bus pass by with custom-made destination blinds displaying the bride and groom’s names. The blinds can then be turned into a framed picture for you to keep forever. 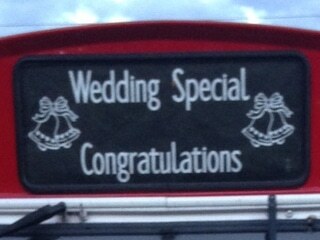 Enhance your wedding day bus experience with personalised blinds. You can choose from our standard set of destination blinds at no extra cost or have a personalised blind made up for £60 which you get to keep and frame as a momento. Blinds are black with white text. 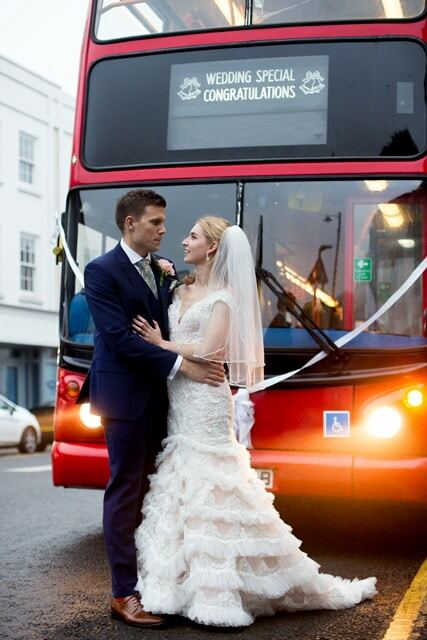 Our most popular choice for wedding bus hire is the Bristol LH – a single decker that seats 39 guests. 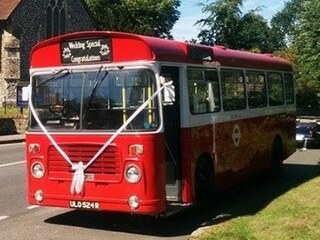 The Bristol LH is a 1970s preserved bus that served the 216 route from Kingston to Staines. Our other buses are Trident double deckers that seat 62 or 70 guests. They each have wheelchair accessibility. 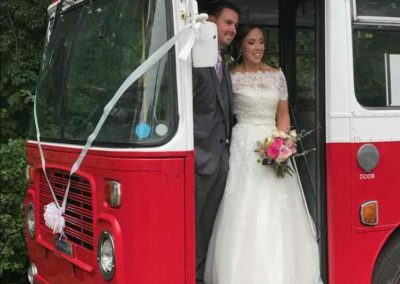 What does it cost to hire a wedding bus? 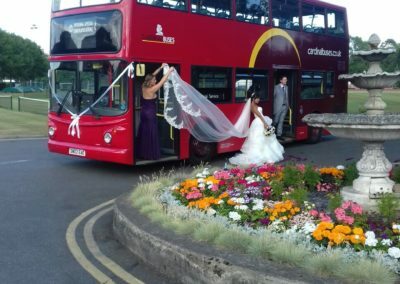 Prices start from £400 and are dependent on distances covered. Submit a quote request and we’ll give you a fixed price quote. 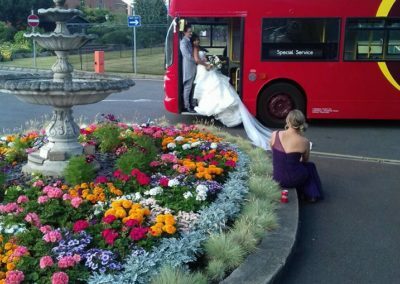 If it’s acceptable, then you’ll be asked for a deposit to confirm the date and booking and prevent anyone else booking your preferred date. 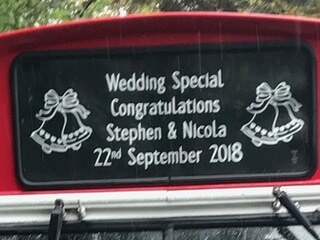 What will the driver wear? Our driver will be smartly dressed in a black suit and white shirt. 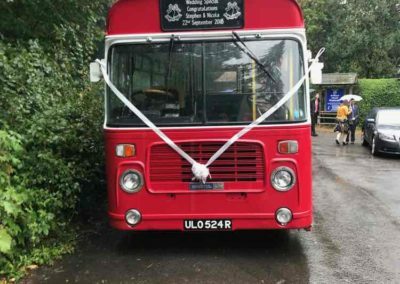 What if there are overhanging trees and branches on the route? When you send us your quote request, we will check the route for feasibility. 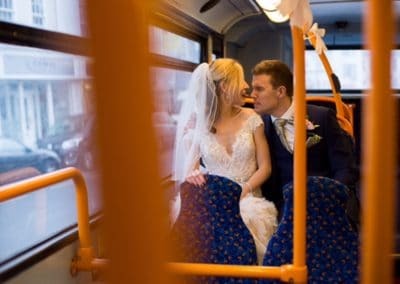 We will plot a route that avoids low-hanging branches, which could damage top deck windows, low bridges and lanes that are too narrow for buses to manoeuvre. 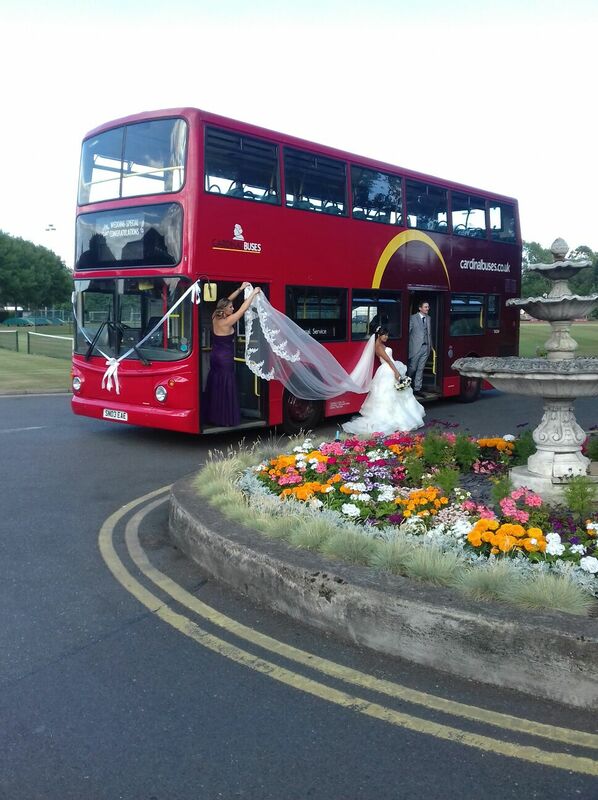 We also check with the venue for any other obstacles or restrictions to ensure that we can carry you and your guests safely to and from your desired venues. 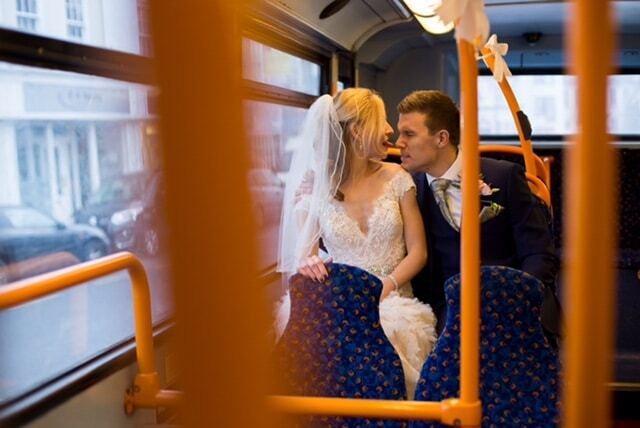 Do you do return journeys? No. Journeys are one-way only. 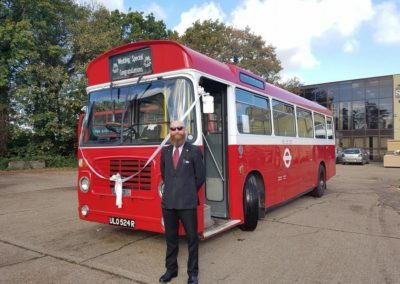 Is it cheaper to hire the single decker? No! The running costs are pretty similar regardless of the size bus. 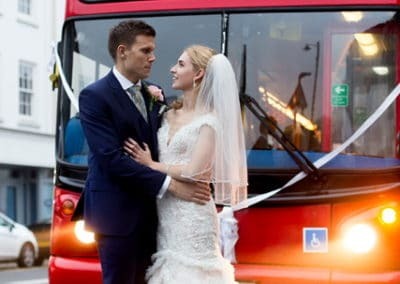 The costs cover fuel and driver wages and a contribution to the bus’ maintenance. 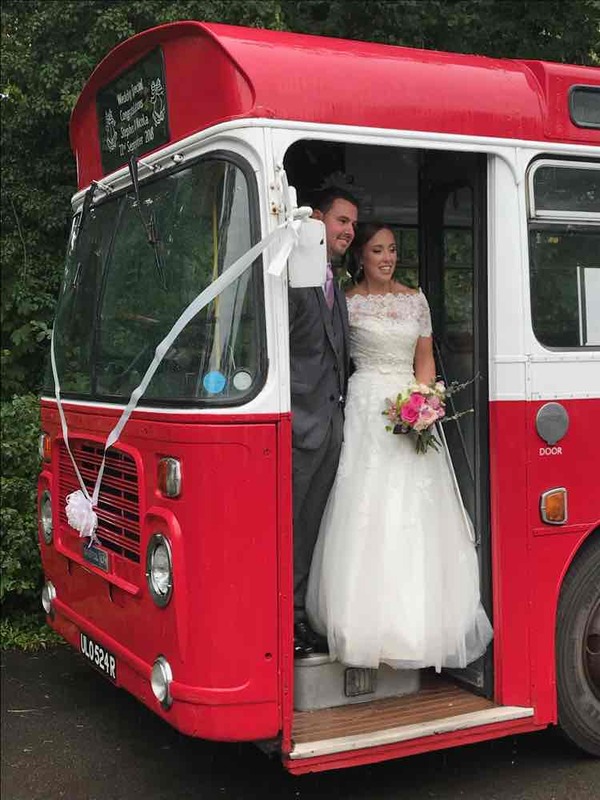 Do you have Routemasters for hire? 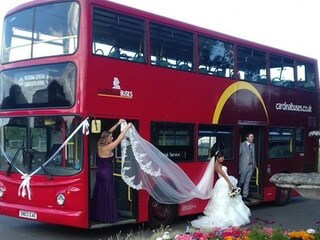 We don’t have traditional Routemasters in our fleet.